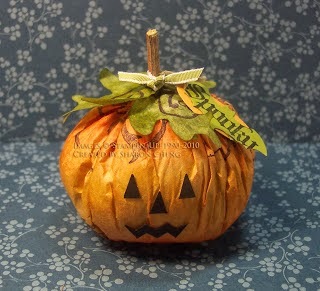 There are so many fun Halloween projects this year! 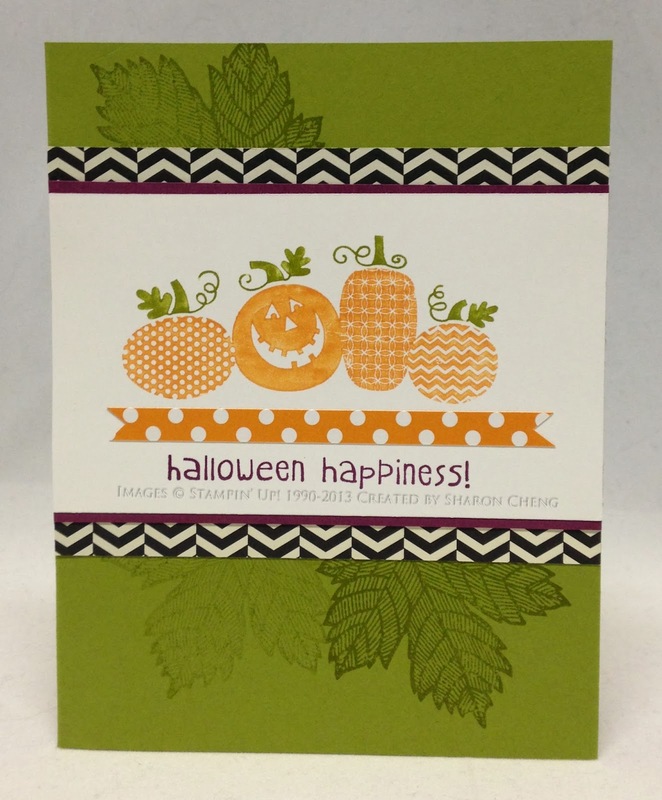 Here is a Halloween card that I CASEd (Copy And Share Everything). Naturally, I usually have to "cheng" things up a little. In this case, I added the Tangerine Tango mat. 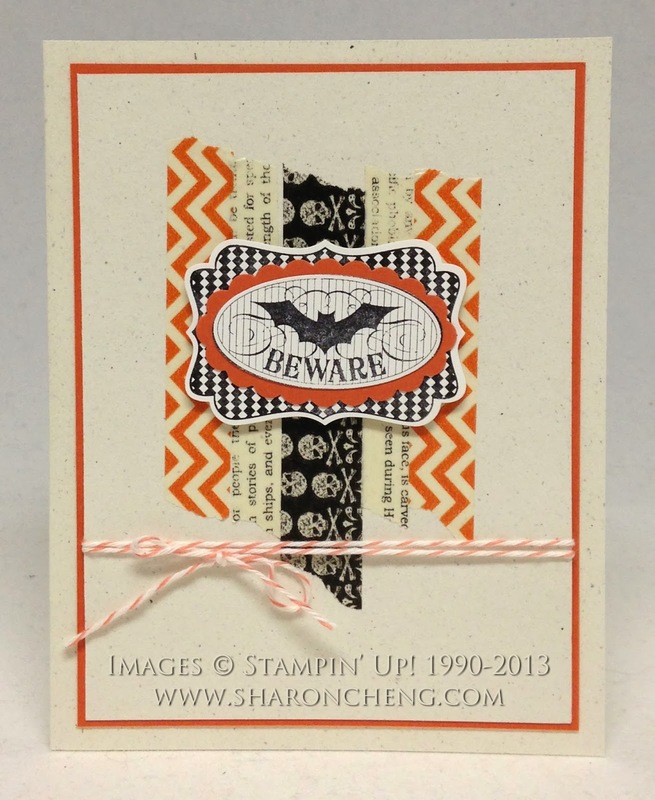 Stampin' Up's Witches' Brew Designer Washi Tape (132156 $4.95) makes this a quick and easy card. Hmm, I might have to see if I can come up with a Christmas version. 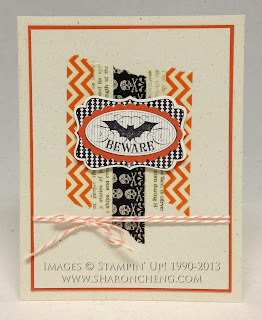 I love harlequin diamond designs and the label stamp from the Halloween Bash stamp set (130580 $15.95) will work with other projects too. 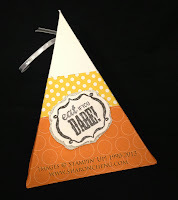 At our Stampin' Up! 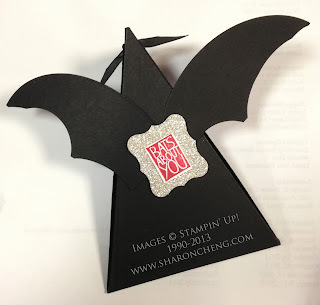 demonstrator meeting, Janet Holmes shared this Spooky Bat Halloween party favor that she made. The wings are made from a large circle cut in half. 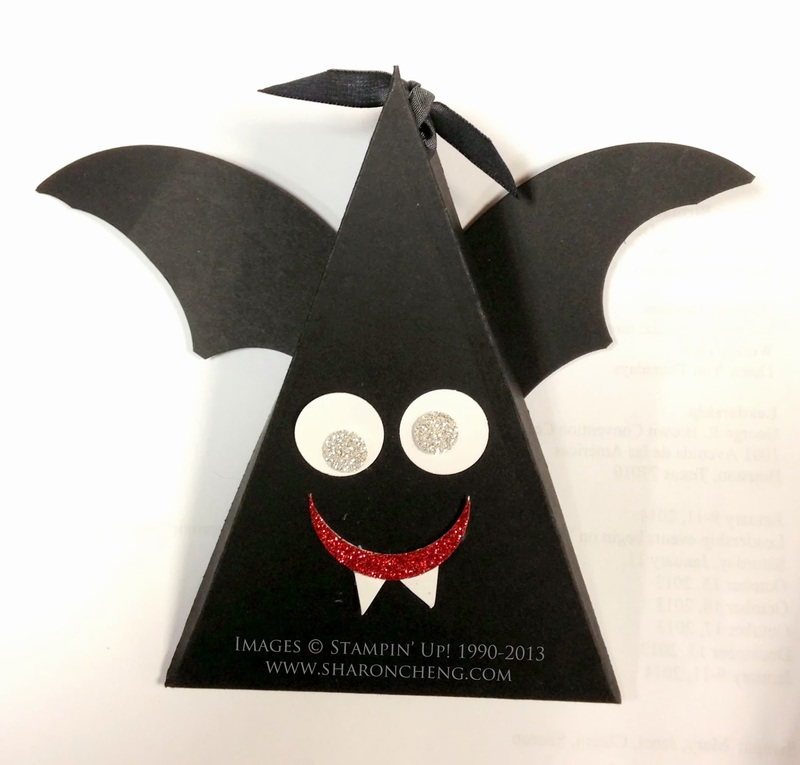 Janet used a circle punch to shape the bottom edges of the bat wings. To cover up where the wings are attached on the back, Janet used the Bats About You stamp from Stampin' Up! 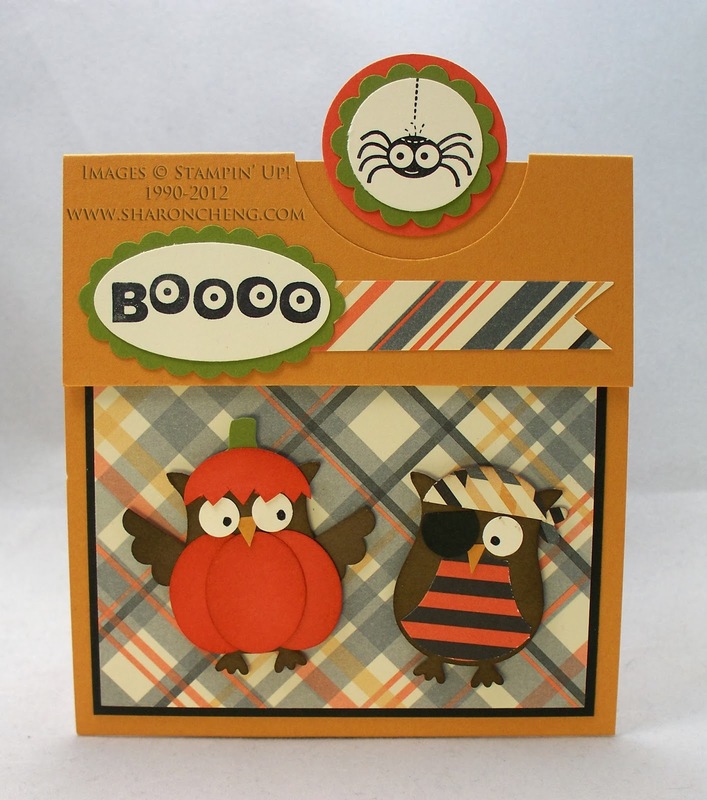 's Halloween Hello Stamp Set (131721 $14.95). How cute is that! Here are some other Halloween-related posts on my blog. These little owls are ready for to party for Halloween! This has been a popular Pinterest pin! This pumpkin is made using coffee filter paper. This style of favor is so popular and can be made to fit all different occasions. 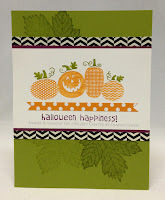 This was one of my Stampin' Up! demonstrator swap cards. Visit my online store to get your supplies for these projects. Remember that when you purchase $25 or more in product, you are eligible for my Rewards Program.